Have you ever fancied taking off to a place which you never knew had ever existed? An offbeat trail, somewhere near to the nature yet in the middle of nowhere? If not, this is the time you should try that out. Offbeat places have a sense of mystery around them, which make them appealing and yes exotic. Phaltan is one such place. Ever heard about it? No? Even I had not until last year when my friend told me about his adventurous getaway to Phaltan. I wanted to visit this place since then till I got the chance very recently. A fortnight back I was in Phaltan and was hosted by Jakson Inns, India’s first three star LEED GREEN platinum rated hotel. 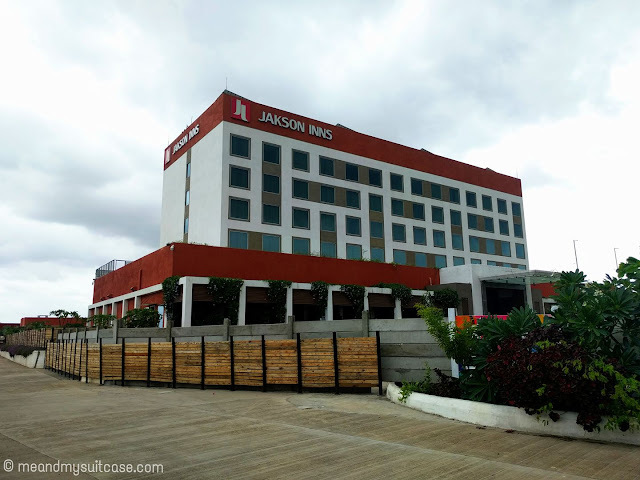 As they say looks can be deceptive and Jakson Inns which sends vibe of being a Business Hotel is in fact much more then that. It also promotes environmental and cultural friendly tourism. 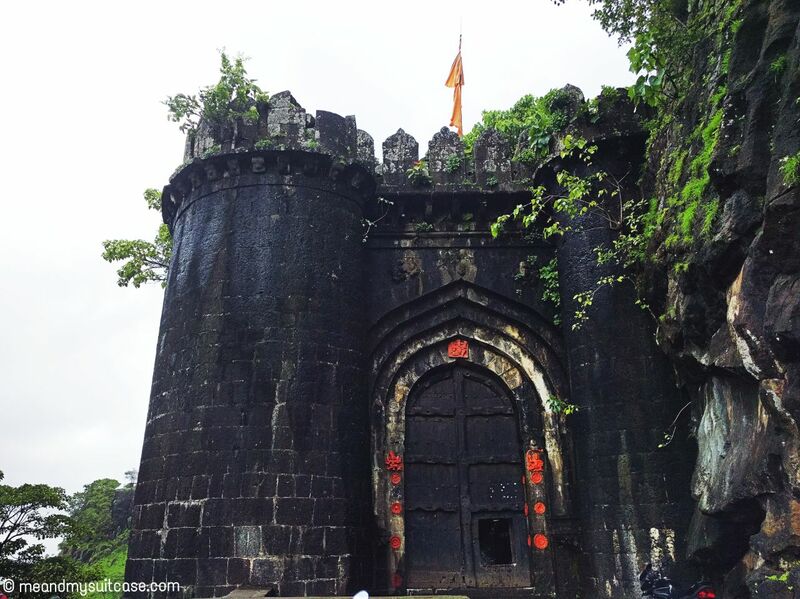 Did you know that Maharaja Chatrapati Shivaji's first wife and Chief consort Sai Bai was a native of Phaltan? Sai Bai was the daughter of the fifteenth Raja of Phaltan, Mudhojirao Naik Nimbalkar and Rajwada (Mudhoji Manmohan Rajwada) was their residence. 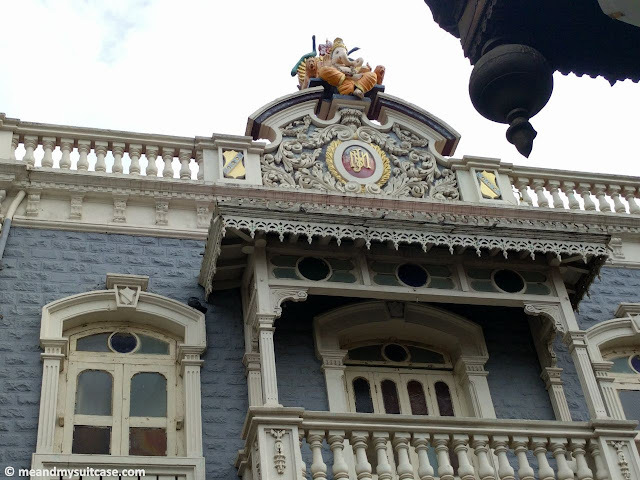 As soon as I entered the lanes where Rajwada stand tall, I got the feeling as if I am in Goa. The area and the building of Rajwada replicated Fontainhas. 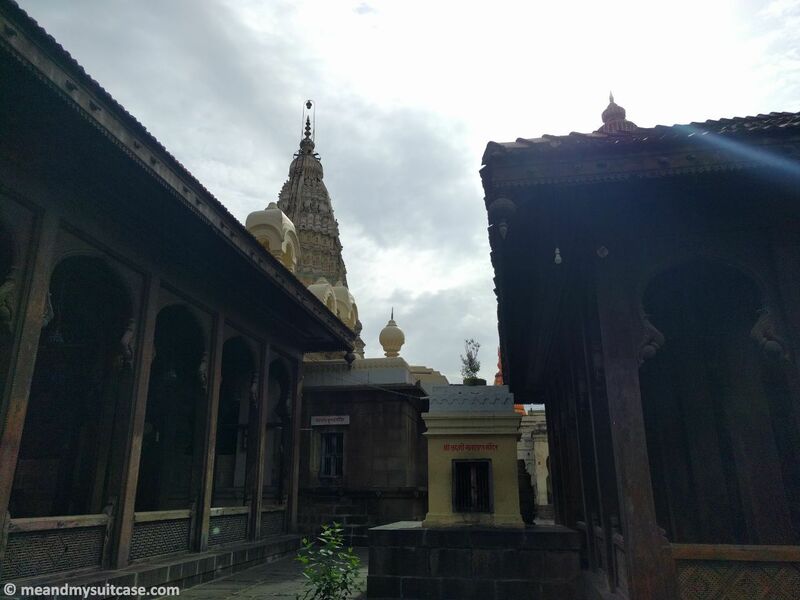 I entered the huge gates, on my left was the residence of Marathas while on the right, two temples dedicated to Lord Rama and Dattatrey respectively, these temples are minimum 250 years old. Rajwada has a huge varandah in the centre with all the rooms surrounding it. We started from our right and I honestly don't know in which part of Rajwada I was till I reached the terrace, it's like Bhool Bhulaiya. Every room seemed to have a different story. The ceiling, the walls and floor; all were adorned with items in gold, silver and glass. The furniture, frames and chandeliers were all so decorative. The wooden doors and windows with colorful glass frames became my instant favorite and yes chandeliers as well. From drawing room to dining to meeting room, bedroom, lounge, balcony and so on, we finally reached the terrace. Before leaving I took a few more shots of the insides and then left for temples. It is when I was coming out an elderly couple asked me to see up and that's when I notice a beautiful sculpture of Lord Ganesha, so mesmerizing, sitting on top blessing everyone. 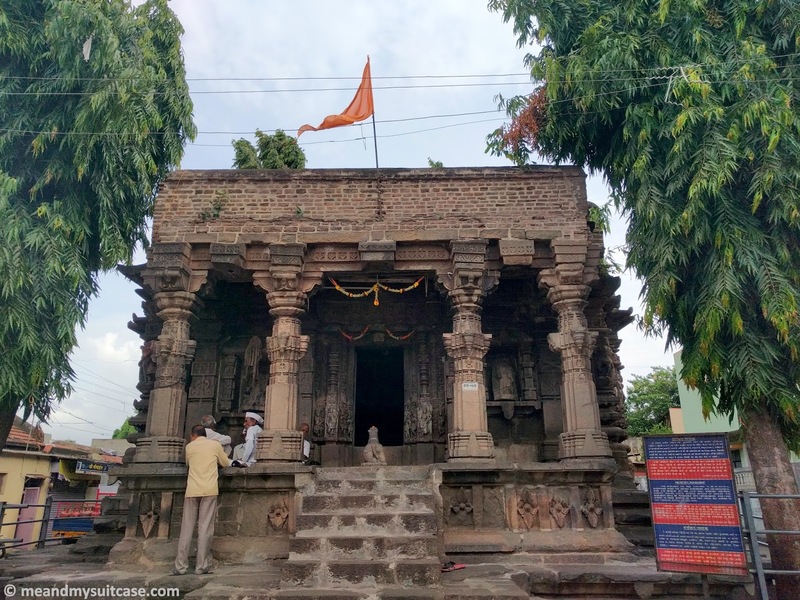 Believed to be 800 years old, Jabreshwar temple is dedicated to Lord Shiva and is just 200 metres towards right of Rajwada. It was so beautiful, those stone carvings and a painting of Lord Shiva in the sanctum took my heart away. Even if you don't believe in God, do visit this temple for its architecture. The peace I felt after entering the temple was something beyond words. Behind Jakson Inns is their own Organic Farm where they grow almost everything. 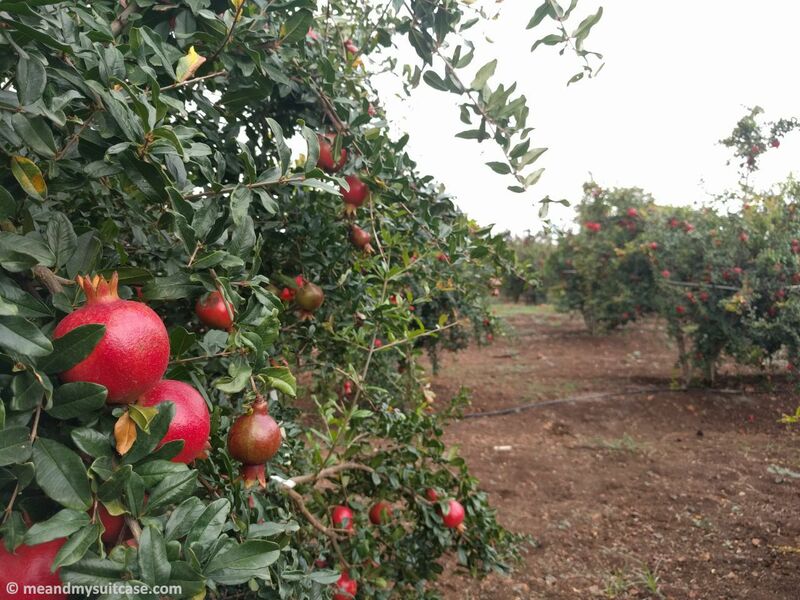 There was corn, onion, garlic, brinjal, drum stick and so much more but my most favorite was the Pomegranate Orchards. The musical cords set by the birds and the peacock talking somewhere far away could be heard easily which along with the breeze made for one of the better evenings. This one is a must visit. Although in ruins now, it's not only easily accessible, the view of the city Satara is something to behold. Go a little ahead in the fort and you will see a temple. I did not go there, my time was spent breathing in the view. It's truly beautiful. A green scenic spot near the small village of Thosegar is usually clubbed with Kaas Plateau on a trip to valley of flowers around August - September every year. 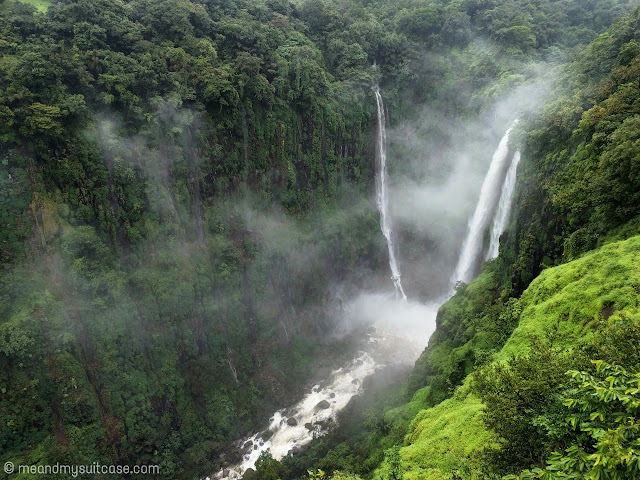 Thosegar waterfalls is a series of waterfalls with the highest water fall being 350 metre high. As the water falls in the gorge the effect is heavenly. 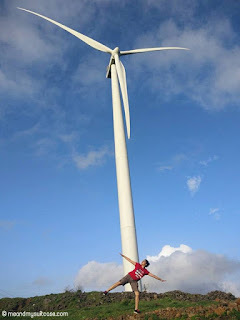 A scenic drive to Pussegaon windmills and then a breathtaking view from the windmills but the best part is to stay and spend sometime near, very near to the windmills. Usually a restricted area where you just can't walk in, Jakson Inns has made this possible. The time I spent at the windmills is incomparable. Up high on hills, these gigantic windmills and tea or wine may be make for a splendid evening. Best place for a date or picnic, an outing with friends or some good time with family. This is pretty much what I did on my weekend getaway to Phaltan during my 2 nights and 3 days stay at Jakson Inns. Try this small break which not only is rejuvenating but also consist of things which you haven't done before. 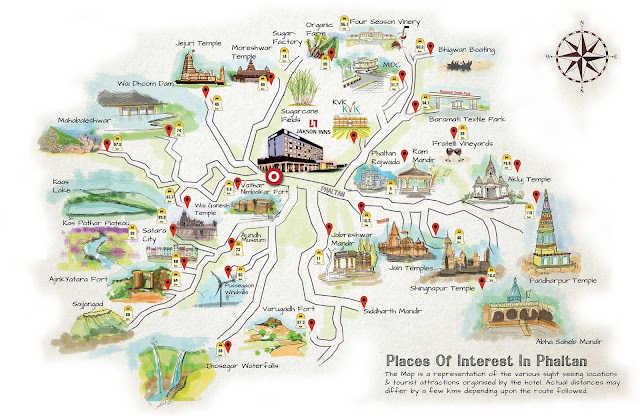 Take a break and explore Phaltan. P.S. All pictures are taken by me except otherwise mentioned. Wonderful. I love Maharashtra. There is so much history and culture. This is such a fab idea for a perfect weekend break from Mumbai. Lovely. Beautiful photos and interesting narration. Seems an interesting place to visit indeed. Thank you. I have Thosegar Waterfalls on my list alongwith Kaas Plataeu, hope to do it someday. Totally agree with you and yes Kaas I gotta do as well. Such an awesome post. Never knew such a place exists before reading your post. Love the pictures specially the feature image with train. There are so many places that we have to visit. Now another one in the list. Nice post, Stuti and I loved every bit of the story you narrated. Happy travelling! !